Senator Peter Harder has argued in favour of an oversight body with a majority of external members and a minority of Senators. The Senate is debating the best way to establish a new Standing Committee on Audit and Oversight – and considering whether to include non-Senators to ensure a more independent and accountable review of expenses. Senator Peter Harder, the Government Representative in the Senate, argued in a discussion paper in September that it’s high time for the Upper Chamber to act on the Auditor General’s recommendations for independent oversight over Senate expenses. “Canadians demand transparency, and an independent body will provide exactly that,” he wrote in a Sept. 17, 2018 article. Sen. Harder has argued in favour of an oversight body with a majority of external members and a minority of Senators. In November, the Standing Committee on Internal Economy, Budgets and Administration proposed the creation of a new oversight committee made up of five members but it’s up to the Senate as a whole to decide how it will be formed. 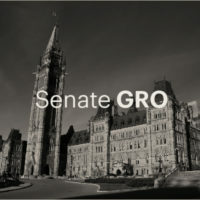 A range of arguments have been presented during the debate in the Red Chamber so far, including suggestions for mixed membership of the committee – that is, both Senators and non-Senators. The debate also included suggestions that instead of a committee to oversee expenses, the Senate periodically hire an outside auditing firm to review and report on whether spending rules are being followed – and whether more stringent rules are necessary.